Hi friend, welcome to our store! Hope you can find your perfect dresses here. We accept both Credit card and Paypal payment. As a professional dress supplier, we are trying hard to make every dress perfect. Retail and wholesale are also warmly welcomed. Brand new ,column ,mermaid or A-line style. 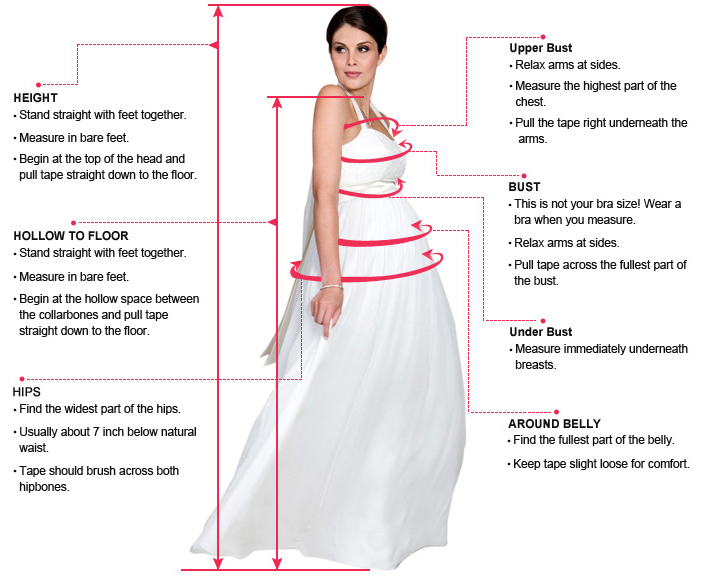 Length: knee length,Tea -Length, or floor length are all available. Fabric: imported satin, silk, special taffeta, stretch satin, organza, chiffon, lace, tulle are available. Embellishment: beading, embroidery, appliques, handmade flowers, handmade ruffles are available. Color: picture color, and all the colors on our color chart are available. Size: Standard size, please refer to our size chart. Closure: Zipper back or Lace up back. Lining: Boned and Fully Lined. Packing: Delicate box package or plastic bags. It usually take 7-25 working days to finish the dress,the shipping time is 3-15 days . All color are available from our color chart. Since computer screens have chromatic aberration, especially between CRT screen and LCD screen, we can not guarantee that the color of our products will be exactly the same with the photographs you saw. If you have any special requirement or need any other color, please contact me by email and we will take care of your request personally within two days. 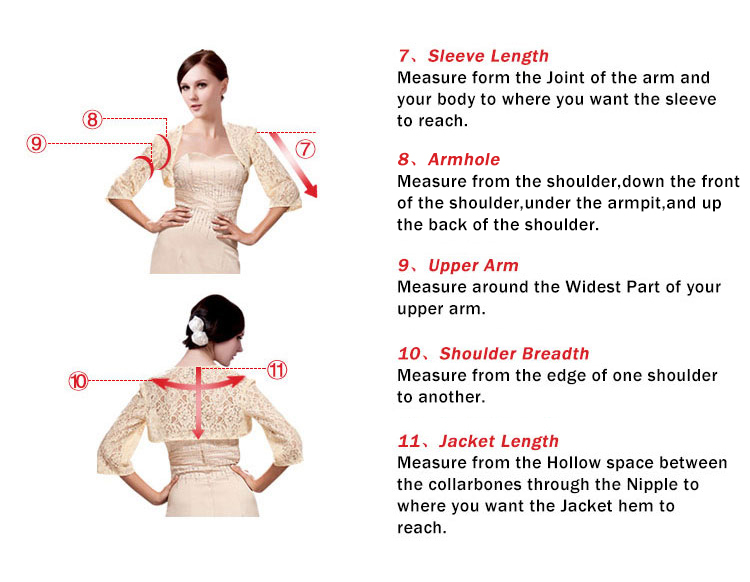 C.Size unit : (centimeters or inches) we make the dress with standard size, to make the dress fit you better, we recommend you to measure below sizes and send back. Please send us the measurements as soon as you make the payment. D:Packing:Delicate box package or plastic bags. Thanks so much for your bidding, we will very appreciate if you can leave us a 5 STAR positive feedback if you are satisfied with the dress and our service. In return, great feedback will be left to you too. If you receive an unsatisfied item, please just contact us immediately and we will try to solve the problem. But keep in mind that for any problems please contact us first, it's our sincere hope that you can enjoy your shopping here.